People traveling along the Beer Sheba - Ashkelon road may find it hard to believe that behind the round hills there hides one of the most modern dumping sites in Israel. About 1,100 tons of garbage is treated here daily, processed in order to prevent it from harming the environment. You can find out about reprocessing and utilizing waste methods by taking an ecological tour, conducted by the Bnei Shimon Regional Council in whose domain the site is located. In the near future the gas discharged here will be used as energy in order to produce electricity. There is also a device which grinds trimmings and prepares them for compost. The tour in Dudaim site, about 3 km south of the Eshel Hanasi intersection, is suitable for school children and groups interested in ecology. 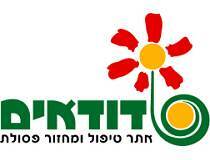 To coordinate a guided ecological tour in Dudaim, call the Bnei Shimon Regional Council, tel. 08-9915851.